America has a lot of problems, and one of them is the 35 BILLION water bottles we throw away every year. My family used to buy plastic water bottles until we realized how much waste the four of us were making. Now we have refillable water bottles that we take to work and school, but a London-based company called Ooho! has an even better solution. 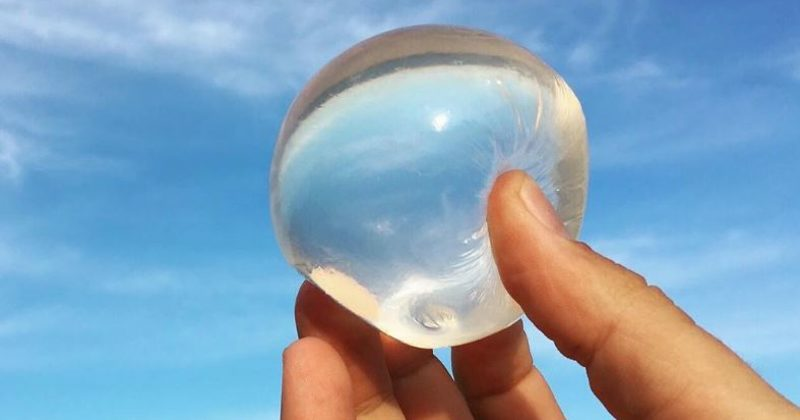 Introducing the edible water bubble! No plastic, no waste, just a mouthful of cool, fresh water. The membrane is made from natural seaweed extract, but don’t worry — you won’t be able to taste it.